Looking for a New Honda Ridgeline in your area? CarGurus has 1,103 nationwide Honda Ridgeline dealers with 56,316 new car listings. Honda’s Ridgeline first hit the scene in 2005, where it instantly carved a niche for itself as a unibody, car-based pickup aimed at the needs of the everyday owner. The nameplate saw a brief hiatus after 2014 but returned after a comprehensive redesign in 2017. For 2018, the Ridgeline sees minimal changes. The Ridgeline’s most notable feature is its bed. It’s made of a composite material that requires no bed-liner and provides a 1,499-lb payload rating. Length is squarely in line with competitors’ 5-foot bed variants. With the optional bed extender accessories and the tailgate down, the Ridgeline effectively has a 6.4-foot bed. 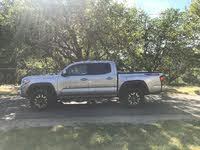 The load floor is high, so there’s far less volume than the other mid-size pickups; however, the wheel-well intrusions take only a foot out of the bed’s 60-inch width, making it the only pickup in its class capable of hauling common 4-foot-wide lumber flat on the floor. Underneath the bed lies a 7.3 cubic-foot covered cargo hold with a drain plug. The proprietary tailgate is capable of opening both down and to the side. On higher trims, the bed includes built-in exciters, serving as an amplifier for the audio system. The truck’s mechanicals are equally unique. Most pickups are rear-wheel drive (RWD) and a solid rear axle by default, but the Ridgeline features standard front-wheel drive (FWD) and independent rear suspension at all four corners. Power comes from a 280 horsepower 262-pound feet 3.5-liter 6-cylinder engine—competitive for its class— paired to a 6-speed automatic transmission. Honda’s variable-cylinder management software can turn off three of the six cylinders in low-demand driving, improving the Ridgeline’s fuel economy rating to 19 mpg city, 26 highway, and 22 combined, or 18, 25, and 21 for AWD. Reviewers have noted that the Ridgeline regularly exceeds highway fuel-economy ratings. AWD, optional on some trims, is an $1,800 upgrade. It includes three dedicated modes, Snow, Sand, and Mud, and it transforms the Ridgeline’s handling from competent to superior. The system cleverly splits torque to precise amounts between the front and rear axles and across the rear axles for maximum cornering precision. The tow rating for the AWD Ridgeline is 5,000 lbs, lower than some competitors, but it will easily haul an average boat or trailer. The Ridgeline’s interior is also shared with the Pilot crossover SUV. That means a low cowl, upscale materials, and features oriented more toward everyday comfort than utilitarian toughness. There’s a cavernous amount of center-console storage, and the 40:60-split backseat folds against the backrest to reveal an additional 3 cubic feet of storage. One drawback is the vehicle’s infotainment systems The 5.0-inch touchscreen unit, standard in lower trims, is outdated for 2018; some consider the optional 8.0-inch touchscreen unit difficult to use due to its lack of mechanical buttons, unintuitive menus, and response lag time. For 2018, Honda has pared the number of trims down to six. 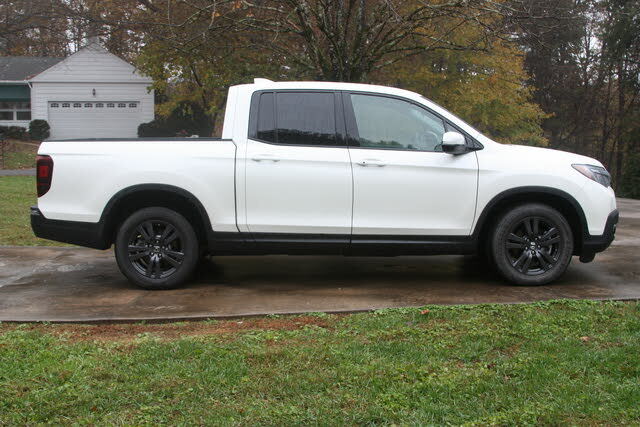 RT is solely FWD and outlines the Ridgeline’s standard equipment—a reversing camera, automatic headlights, rear privacy glass, LED taillights, a trailer hitch, truck bed lights, push-button start, automatic single-zone climate control, a 5.0-inch infotainment system, a 200-watt audio system with a subwoofer, Bluetooth, and USB connectivity (in the front row). Sport, standard with FWD and available with AWD, builds on the RT trim level with 18-inch painted alloy wheels, black painted exterior trim, fog lights, tri-zone automatic climate control, keyless access, remote engine start, and a garage door opener. The RTL trim, standard with FWD, AWD available, adds leather upholstery, a leather-wrapped steering wheel, heated front seats, a 10-way power driver’s seat, an acoustic windshield,, and body-colored door handles. The AWD version also features heated side mirrors. RTL-T, standard with FWD and available with AWD, provides an upgraded 225-watt audio system, an 8.0-inch high-resolution display with satellite navigation, Apple CarPlay and Android Auto connectivity, satellite and HD Radio, second-row USB charging ports, an on-board compass, auto-dimming rearview mirror, an improved dynamic reversing camera, LED daytime running lights, and Honda’s LaneWatch, which provides an on-demand camera feed of the Ridgeline’s right-side view. RTL-E is the biggest upgrade, with standard AWD, adaptive cruise control, auto high-beam headlights, LED headlights, a 150/400-watt truck bed power outlet, a truck bed audio system, a power moonroof, a power sliding rear window, parking sensors, blue ambient LED lighting, and a premium 540-watt audio system with eight speakers and a subwoofer. It swaps LaneWatch for standard blind-spot monitoring with cross-traffic detection. Lastly, Black Edition is a refined appearance package atop the RTL-E trim, bringing along unique exterior trim, leather upholstery, covered steering wheel, and red ambient LED lighting. On the safety front, the Ridgeline includes dual-stage driver and passenger front and side airbags and curtain airbags for all occupants. Additionally, the Honda Sensing suite of safety features, standard on RTL-E and Black Edition, comes with automatic braking and collision mitigation, forward collision warning, lane departure warning, lane keeping assist, and road departure mitigation. 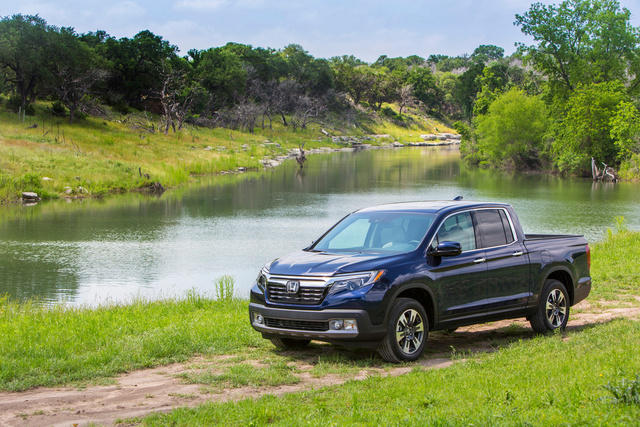 The Ridgeline was last tested by the Insurance Institute for Highway Safety (IIHS) in 2017, where it garnered top scores of Good in all crash categories and superior in front-crash prevention—earning an IIHS Top Safety Pick. The Honda Ridgeline isn’t the brawniest pickup. For serious off-roading prowess or hard towing duty, one of its conventional body-on-frame competitors may be a better fit. For hardware store runs, camping and trips with sporting gear, towing a light boat, and other light-duty everyday activities? The Ridgeline provides superior road dynamics, storage, comfort and fuel economy. What's your take on the 2018 Honda Ridgeline? Users ranked 2018 Honda Ridgeline against other cars which they drove/owned. Each ranking was based on 9 categories. Here is the summary of top rankings. Have you driven a 2018 Honda Ridgeline? Enter your zip to see incentives for a new Ridgeline in your area. 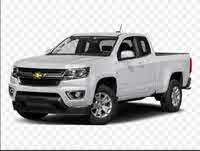 CarGurus has 13,151 nationwide Ridgeline listings starting at $3,499. My Ridgeline ran completely out of gas. I put s few gallons in but when I restated it all these lights came on indicating multiple issues but it runs fine. Could this just be a computer issue? When towing 3500 travel trailer, should I use OD?